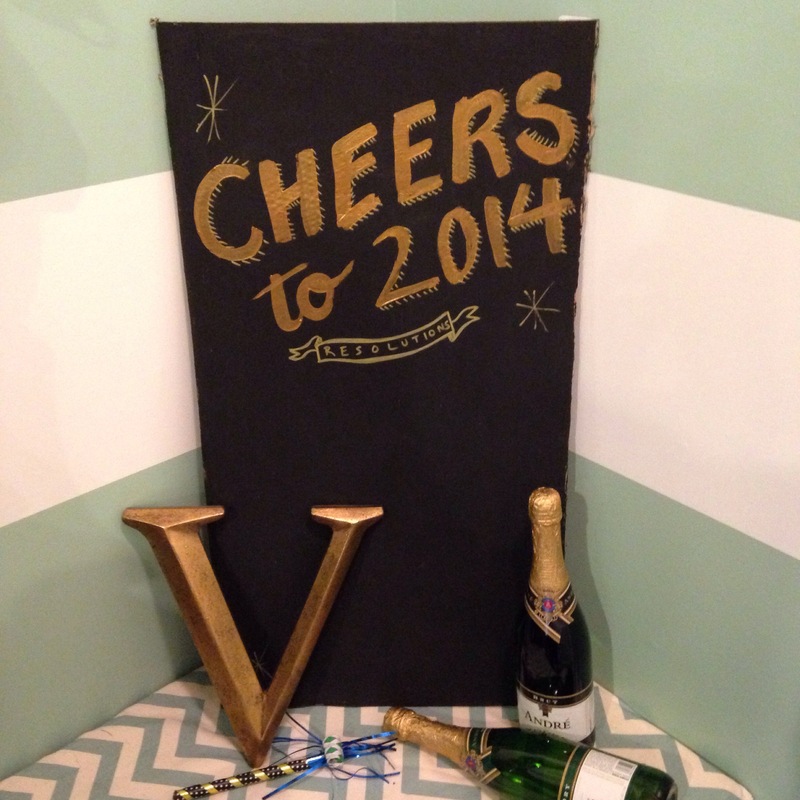 Cheers to 2014! 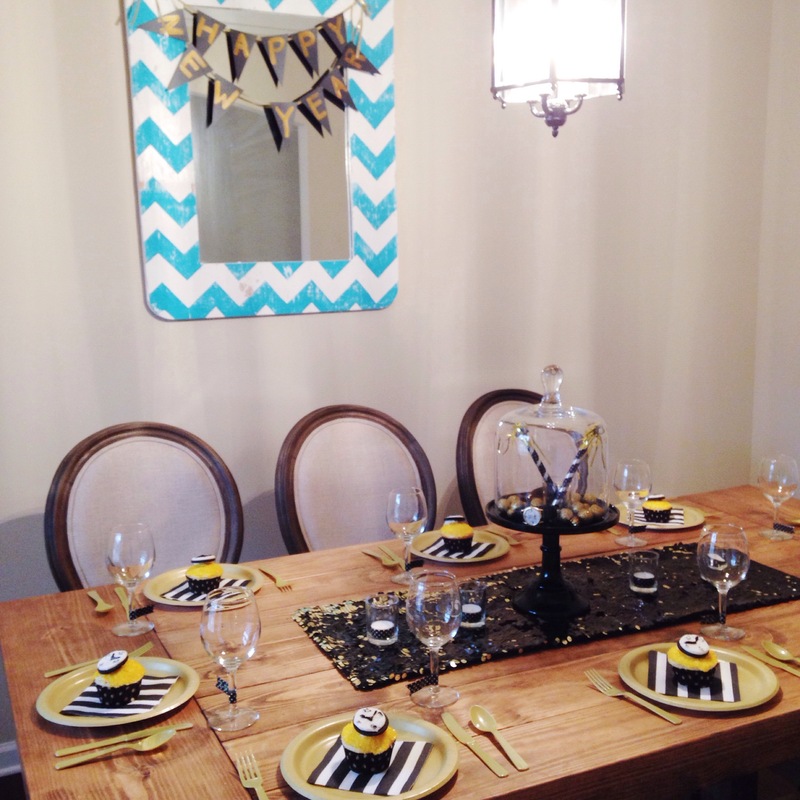 I love a good celebration, especially when it involves getting a little crafty. We invited some of our friends over for a semi-traditional New Year’s Day luncheon. We had all of the guests use the faux chalk board above to write their resolutions. My favorite was probably “Love Penny” which refers to one little boys resolution to love his sister more. 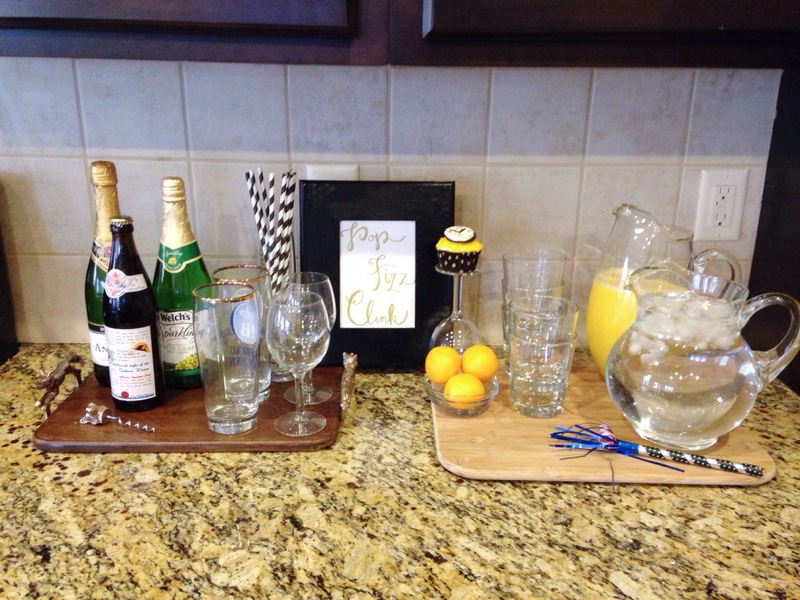 The menu consisted of black eyed peas, spinach salad, pork tenderloin, and mimosas! 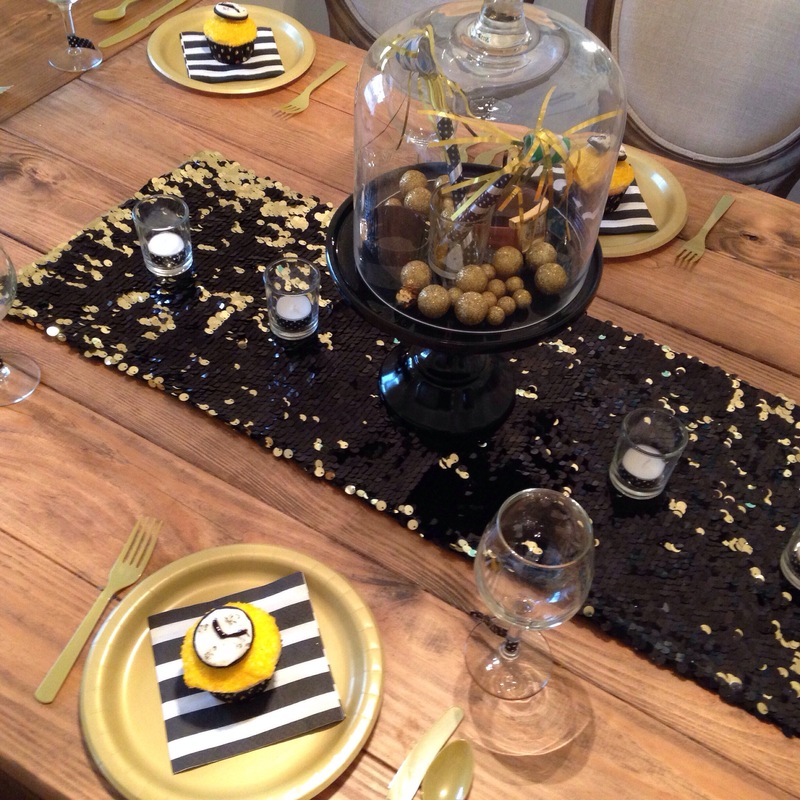 I loved setting the table for all of the adults to gather around. We successfully had 10 people gathered around this table. It was amazing to see all of these wonderful people filling our home. People we didn’t know 365 days ago. Truly an example of the great things God is doing in this community and in the relationships he is forming. We had a little bar set up for beverages. Just a little celebratory fun and paper straws always make me happy. I saw a version of these cupcakes this weekend at Whole Foods. They had done cupcakes with fondant. While I am not the professional baker in the family, nor did I have time to do some elaborate fondant treatment, I opted for Oreo’s. 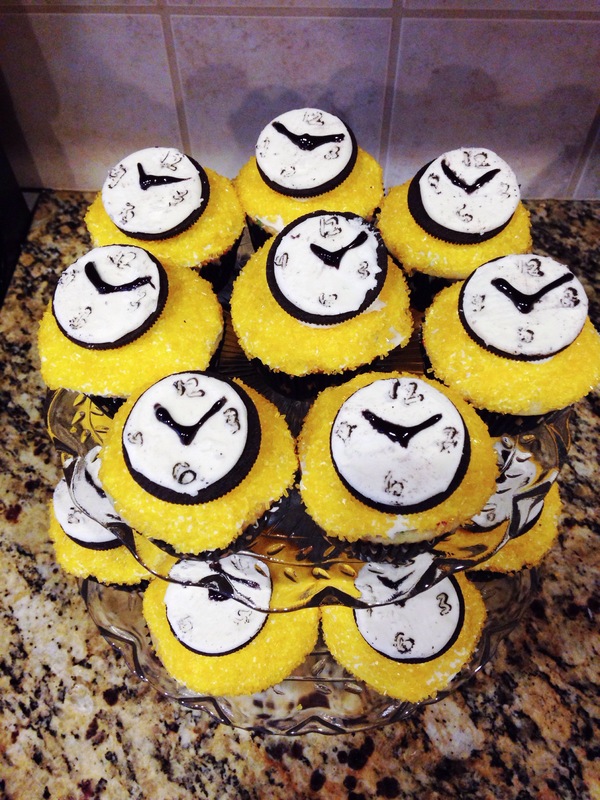 I simply cut an Oreo in half, scraped off the excess chocolate and then used black icing to make the clocks. Now to plan the next celebration. 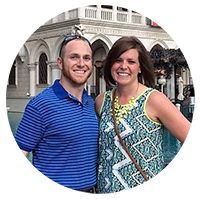 I am excited that in the next few months we will be planning a couple’s shower, baby shower, and a block party. Hooray for a celebratory start to 2014. 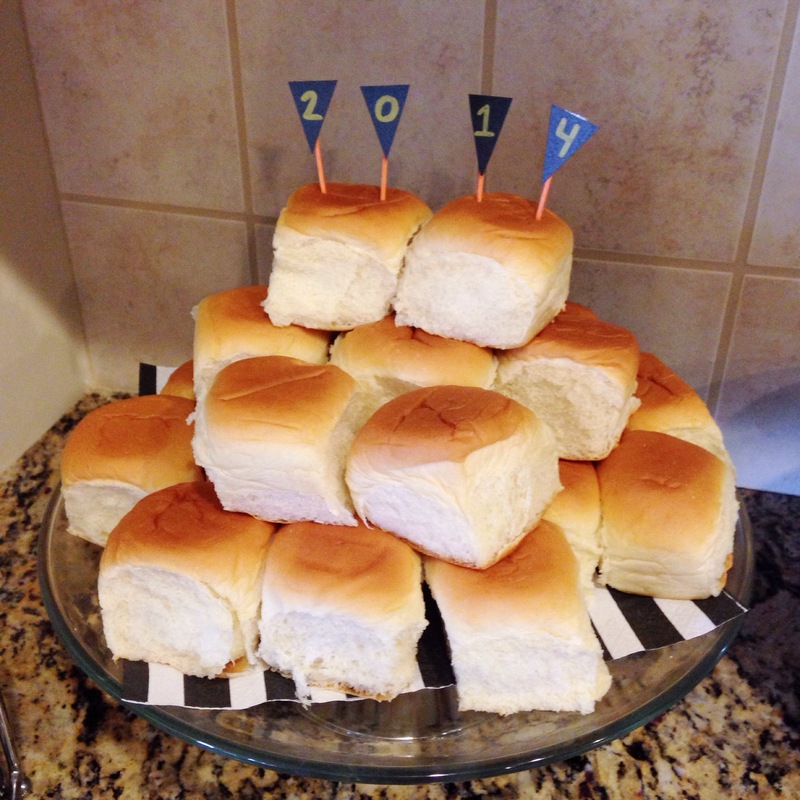 This entry was posted in Married Life, Party Planning and tagged new years day, party planning. Bookmark the permalink.